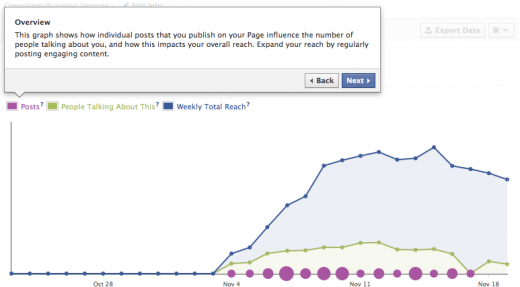 Brand managers with a Facebook page have a very important, free tool at their disposal: Insights. You don’t need to blindly post to your page, unaware of what works and what doesn’t. Insights creates graphs and charts that help you easily determine what posts are generating the most discussion, how many people you’re reaching, and the types of people who engage with your content. This tutorial explores how to use Facebook page Insights as a component of your marketing planning and strategy. The number on the left hand side of your page includes all of this activity during the past week. But within Insights, you can get a deeper understanding of how many people “talked about” each of your individual posts as well. This data can help you get a better understanding not only of which individual pieces of content performed well, but what types of content inspired a response. 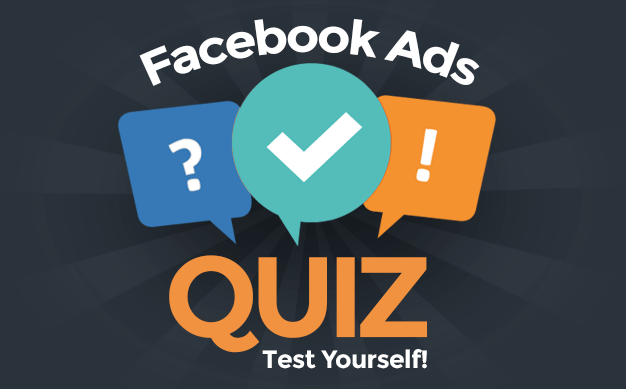 I personally get the most response from Facebook Questions, photos and videos. As a result, I should post more of these. While the most valuable user is one who “talks about” your content and thereby shares it with their friends, this metric leaves out an important group: Individuals who clicked on and read your content, but did not create a story. Tracking “Engaged Users” will give you a better idea of the number of people who interacted with your content but did not share it. If there is a large gap between Engaged Users and People Talking About This, you may need to reassess how you interact with your fans to better get them to respond. This is the total number of people who have seen any of your content during the past week, whether fans or content that was shared with non-fans. This also includes the people you reach through ads and sponsored stories. How awesome was a particular piece of content? You can measure it through “Virality.” This is displayed as a percentage of total number of people who have created a story from your content (People Talking About This) over the total number of people who have seen it (Weekly Total Reach). If your content does a good job of inspiring a response, it will be reflected in this percentage. In the past, Facebook gave us a sense of who the people are who liked our page. But now they’ve added the ability to see the types of people whom your content reaches or who talk about your content. This is very important. The people who “like” your page carry only so much value if they aren’t interacting. You want to know which types of people (male/female, age, location) are sharing your content most with their friends. This can then give you a better idea of the type of content you should create to cater to them. Knowing the demographics of the people you are reaching is also important. While your content reaches non-fans, you may want to customize some of what you post to them to get them engaged and increase your audience. What is the magic formula for how often you should post? It is different from page to page and audience to audience, but Insights will help you make this decision. Within the main Insights view, you are given a chart that compares the number of daily posts (displayed by differing sized circles) to the weekly reach and people talking about the post. For me, there seems to be very little correlation between number of posts and the other two metrics. While I need to make sure I remain actively engaged with the page, this means that it’s not necessary to post multiple times. There is not a clear advantage. Insights don’t provide an easy way to view this, but it’s still there. It’s just a bit buried. Within the main Insights view, take a look at the Page Posts chart. Sort by Virality. Then click on each individual post preview and then the post itself to determine when you created the content. Was it in the early morning? Mid morning? Afternoon? Evening? This information can help you determine when you should post going forward to maximize your effectiveness. This data is actually just the tip of the iceberg. Export it to Excel and you’ll discover additional details that are not shown in the web version. This will also allow you to easily generate reports that can help support your strategic decisions.